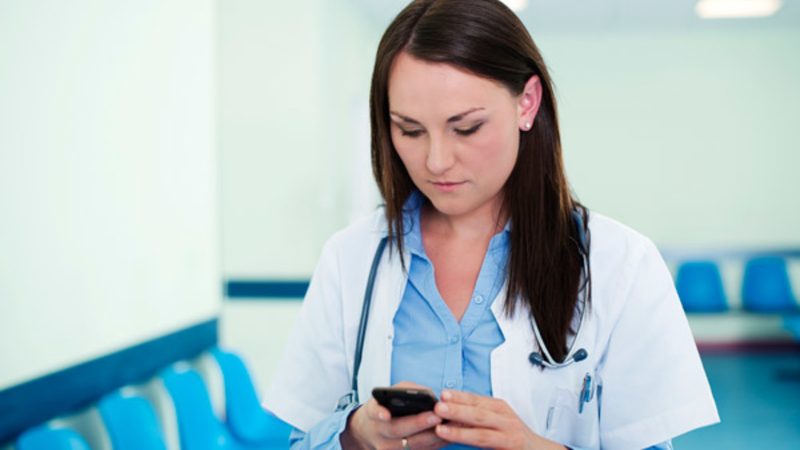 Mobile Device Usage Is on the Rise and RTLS Is Expecting Big Growth in Healthcare. Mobile devices in healthcare are becoming more prevalent than ever – and this shouldn’t come as a surprise. Are you reading this post on your computer or on your phone? Mobile devices have increasingly become part of our daily lives. Today we use our phones for almost everything we do – keeping up with friends, managing our finances, reading the news and even watching TV. Our phones are with us 24/7! Mobile devices have become an integral part of how many people perform their job every day. This is now becoming true even in the world of healthcare. Visited a doctor’s office or hospital recently? You were likely checked using some sort mobile device, or had your vitals taken and then recorded on a tablet. Tablets represent the second most-used device in hospitals according to the HIMSS Analytics study. What’s more, over 40% of those surveyed confirmed they use their smart phones to access information used in providing and coordinating patient care. It’s no wonder this is the case – if your phone isn’t in your hand right now, I bet it’s within arms reach. Mobile devices provide doctors and nurses with access to information and critical communications in real time. Decisions can be made faster, time can be saved and costs can be reduced with such immediate access to information. It’s easy to see how how mobile device usage is only expected to increase, and why such huge growth is expected in RTLS (real time location systems) in healthcare over the next 3 to 5 years. Our mobile devices are always with us. This makes them a powerful tool for gathering, using or sharing information in real time. With healthcare facilities beginning to implement real-time location systems, the use of mobile devices in healthcare will only grow. RTLS solutions offer a means of tracking and monitoring staff, streamlining workflows, managing inventory and reducing patient wait times. The Secure Care Products ENVisionIT® RTLS solution works seamlessly with our mVision® mobile app. mVision® enables alerts and alarms to be sent to mobile devices ensuring the fastest response for urgent situations like a staff duress event. Of course the increasing use of mobile devices in healthcare does not come without risks or challenges. The decision making and implementation of any new mobile endeavor requires involvement from key stakeholders upfront. This means that IT, administration and nursing management should be working together to evaluate and implement any new solutions. Protection of confidential patient information is critical when talking about the use of mobile devices in healthcare, but privacy concerns are not the only possible issue. The migration to a more mobile-friendly healthcare environment requires careful consideration of many critical areas. Do you allow users to BYOD (“bring your own device”)? Have you developed a thorough mobile device policy? Does your facility have the appropriate infrastructure for mobile device usage? In addition to the use of mobile devices in healthcare, the implementation of a RTLS solution is a significant investment. It requires careful review of, planning for and discussion about your strategic goals and objectives for installing such a system. Where will the use of RTLS have the most impact on your facility? Do you have significant leasing costs or sizable capital equipment expenditures budgeted for the upcoming year? Are you concerned about keeping your staff safe from workplace violence? Are your patient satisfaction ratings where you want them to be? RTLS can provide the information you need to address all of these issues and more. As with any major investment, the upfront planning is critical. A successful RTLS installation will involve many meetings, close coordination with your vendor, prioritization and a phased approach to implementation. One thing is certain: the use of mobile devices in hospitals will continue to evolve and expand. HIMSS18 has a variety of mobile-related sessions already scheduled for this year’s conference. As always, it’s sure to be a great place to hear some of the latest news about the use of mobile devices in healthcare. We’d love the opportunity to meet with you at HIMSS to showcase our RTLS solution and mobile app. We believe that RTLS and clinical mobility are the way of the future and that these platforms offer tremendous value to healthcare facilities. RTLS and mobile devices will become deeply ingrained in the future of healthcare as facilities work to improve patient care and outcomes and streamline operations to reduce costs. The best way to provide the greatest quality care for patients is to be able to have an expedited response time to any and all situations. Having the best security system in place is key and by adding on the use of a mobile application to communicate security events, caregivers are now given the opportunity to keep their focus on their patients. With a mobile application that communicates via smart phones and tablets, caregivers are no longer glued to the areas in which the security equipment is located. They can move about the facility freely and as soon as an event happens they will receive all the information they will need directly to their mobile device to be able to react as soon as possible. The mVision mobile application allows facilities to completely customize their communications of events that happen within their Secure Care Products security system. 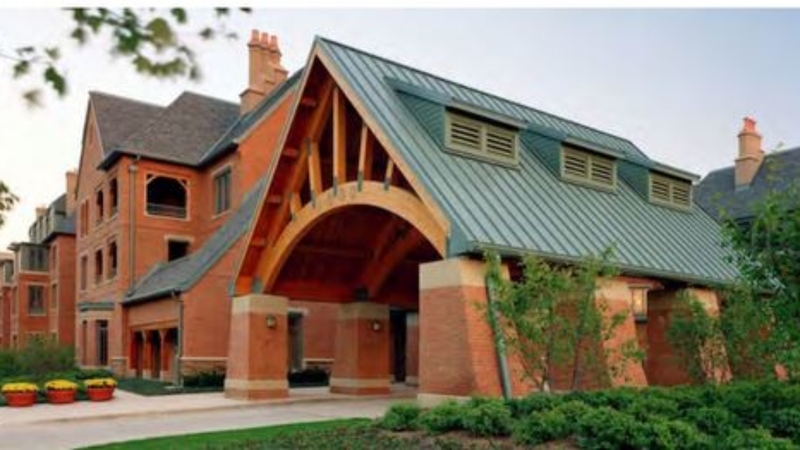 The Garlands of Barrington, a retirement community located one hour northwest of Chicago, is proud of its “next generation” approach and full continuum of care for adults 55 and older. Inspired by a small group of long-time Barrington residents and business people, The Garlands represents a new paradigm in care offering comfort, convenience, and peace of mind. Even the design of the 31-acre neighborhood – set among a park of mature trees and rich landscaping – is based on a unique philosophy of New Urbanism. It’s a pedestrian-friendly campus where housing, work places, shopping, and restaurants are all woven into a “neighborhood feel” of incomparable care and unparalleled quality. In this setting where “only the best will do,” it came as no surprise that The Garlands chose Secure Care Products to create an environment that’s open and accessible, yet safe. A Secure Care Door GUARDIAN® Resident ID security system was installed in 2014 by SecureCom, a Chicago-based, full-service distributor of Secure Care. Door GUARDIAN® provides a secure perimeter while enabling residents to freely move about the Skilled Nursing, Assisted Living and Memory Care areas. This offers a very high quality of life, while simultaneously providing a high degree of protection from wandering and potential harm. During the summer 2015, The Garlands trialed Secure Care’s innovative “mVision” mobile app as an adjunct to the Door GUARDIAN® system. The mVision mobile app allows staff to continually monitor the secure perimeter and protected doors, receiving instant notification whenever a resident, wearing a small but powerful radio transmitter, moved too close to an opened door. “mVision allows nurses to tend to the needs of our residents while still staying connected to the security system,” said Amanda Hintz, Director of Memory Enhancement at The Garlands. “It allows us to stay focused on our primary mission: caring. We know with mVision we’ll be immediately alerted if a member is ever in danger of wandering. So we can conduct our rounds – caring for our members and spending quality time with them – knowing everyone is safe and secure. The staff really likes it,” she added. mVision is a mobile app that can be loaded on any Android or Apple iOS smart phone. Working in conjunction with the Door GUARDIAN® Resident ID security system, it follows a highly configurable rules engine to send door alarm information to the phones of caregivers. Alarm notifications can be accepted and handled, or allowed to quickly cascade to the next caregiver in the user-defined list of designated responders. “Mobility was key for us”, said Scott Weimer, Maintenance Director at The Garlands. “We didn’t want caregivers tied down by the security system. We have a great reputation for hands-on, personal care. mVision empowers that level of care by putting the security system right on the hip of each nurse on-duty. The security system moves with them.“ Mike Banach, president of SecureCom, sees the use of mVision at The Garlands as part of their forward-thinking approach to senior care. According to Banach, “The management team at The Garlands is always looking for ‘Next Generation’ technology to provide an ever-increasing level of care for their members. We see the mVision mobile app as yet another example of technology in service to caring at The Garlands. And, as the locally-based, factory-trained distributor of Secure Care Products, we’re happy to facilitate its use.” According to Al Larose, Executive Vice President at Secure Care, infant security is the next market to realize the benefits of mVision. “Based on our findings, and the rave reviews we received from the many professionals at The Garlands, we’re now ready to introduce mVision to acute care hospitals providing infant and pediatric security. I have no doubt they, too, will embrace our technology as a way to optimize efficiency while providing security,” Larose stated.